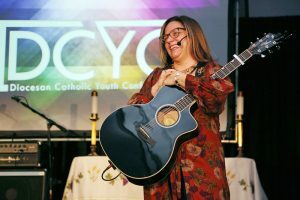 This past weekend 550 youth joined together at Doubletree by Hilton Hotel to attend the Diocesan Catholic Youth Conference (DCYC). It began early Saturday morning with the celebration of the Mass. It was truly an outstanding sight to see so many teens from our diocese praying together. Late morning brought about the opportunity for adoration and confession. After going to confession everyone was given a small blue marble that they placed in a glass vase of water; as everyone placed their marble in the water, the vase began to overflow. The water overflowing symbolized their souls over flowing with grace from the sacraments. 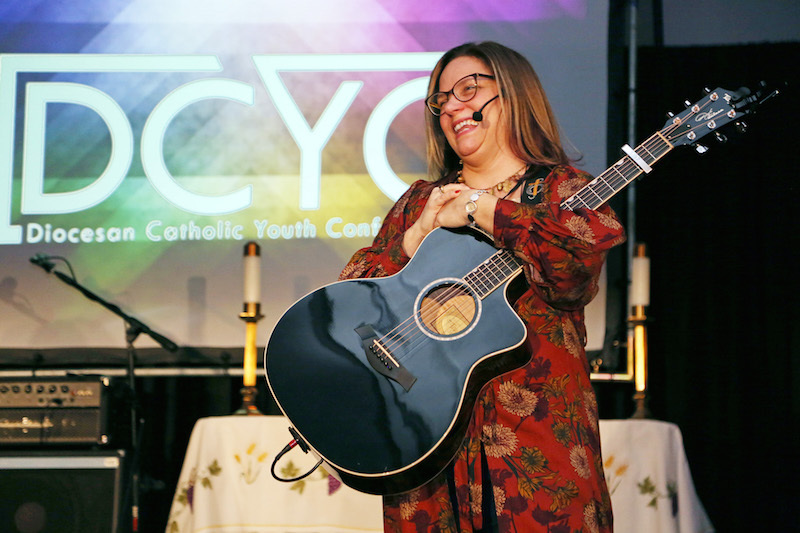 Throughout the weekend the keynote speaker, Carrie Ann Ford from Buffalo, N.Y., led the group in song and prayer all while giving amazing and truly inspiring talks. Carrie Ann loved telling everyone that they are NUTS, Naturally Unique and Truly Spectacular! Saturday evening brought about a formal dinner and dance. The dance was an absolute blast and everyone was seen having an amazing time. People who didn’t want to dance had the option of playing games or going to a quiet prayer room. Sunday morning came with the opportunity to hear Carrie Ann speak one last time. This talk was powerful and brought many people to tears. Her story is truly inspiring. Closing out the conference was a rosary and Mass with the bishop. At the end of Mass the new Diocesan Catholic Youth Board was installed. As a member of the 2018-2019 DCYB I can say that I am truly proud of this conference and that the whole board is so amazingly grateful to everyone who came and everyone who helped us out along the way. I’m already so excited to see everyone back at DCYC 2020. Here are the awards announced at the conference.